Another year, another flood of new releases to feed your Ataris with! 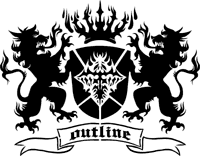 At the time of writing, the compos are still running and there have been a lot of entries, per usual; 2600, XL, ST, Falcon, Lynx, Jaguar.. you name it. As expected, the demos will be available from Demozoo, and we'll try to do videos of as many releases as we can. MJJ Prod just released a new ST demo at the Alchimie party in France called "Glokzilla". The demo works on regular 1 MB ST but 2 MB is recommended. We're treated with music by Tomchi, graphics by C-rem and code by Mr.Nours and Gloky. Silly Venture 2k17 - and the beat goes on! At the famous and legendary Assembly party held in Finland this weekend, Dekadence and Mystic Bytes presented another invitro for the 9th edition of the forthcoming Silly Venture event! This time it's ST release and requires 1MB of RAM. Code by Britelite, Gfx by Bracket, Msx by Ricky Martin, Additional Gfx (original SV2k17 logo and MSB logo) by m00nie, Txt by Grey. More news (as well as new invitros) will follow soon! The summers most awaited release is finally here! SMFX just finalized the winning Atari ST demo from Sommarhack 2017 and put it out for everyone to enjoy. We get graphics from mOdmate, textures from Ukko, music from 505 and last but not least, code from SPKR. Mega STe fixed version now available. Yup, we did it again! After a short while since the latest SV2k17 invitro for A2600, it's time for the great Atari XL/XE platform - and there is more to come in the nearest future! Short credits for the intro: Wieczor (SV2k17 logo conversion, Code, Design & Music), mOONIe (original SV2k17 logo) & Grey (Scroll-txt). After a few days in the wilderness coding our Ataris, we're back to civilization. 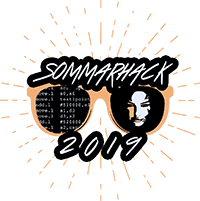 We'd like to thank everyone who visited or supported Sommarhack this year or in the past. Almost all the demos, pictures and ziks from 2017 are available to download from Demozoo. Videos are available for all released prods as well. Check out the links below. The guys from The Teutonick Knights finished a megademo for the Atari ST back in 1992. For some reason the demo never saw the light of day. Until now that is. From the remains of Bods (R.I.P.) floppy disks the demo has resurfaced. Featuring many screens, main menu and double reset demos. 7an of Sync was working on a game way back in 1990, but somehow forgot to release it. Now, 27 years later Troed helped 7an dig out the old game. Adding some smaller final changes and music, it's finally released. The game plays a bit like a 2D Trailblazer or Jumping Jackson, and at first sight seems hard!